Please speak with Planeta.com host Ron Mader if you would like to participate in this global conversation. Volunteers requested for testing our video chats, first privately and then publicly. 2019 is Planeta.com‘s 20th year of innovative, community-driven, online conferencing. We invite friends to join our free, week-long conversation, Responsible Travel Week, February 11-17. 90% of the conversation takes place online, documenting, previewing and recapping events around the world. 10% happens in the natural world – what you do. There are cool meetups in southern Nevada and other places to be announced. Online we host real-time videos, audio-only Periscopes, Twitter chats, and collaborative editing sessions. Participants are asked to customize their own experiences. Create and announce your own meetups, workshops, soundwalks, and other creative endeavors. Fall in love with responsible, magical, and fabulous travel. Participation is free and pay what you want. What we mostly desire is meaningful interaction, aka engagement – announcements, creations, comments, retweets, upvotes, stars, and questions. If you have previously contributed to Planeta or worked with Ron Mader or would like to in the future, please use RT Week to introduce yourself and share interests. Bottom line: The important thing here is to get people doing responsible travel as guests and hosts. We explore how it applies to local communities with the stories you hear and tell. Perks: What does it take to get meaningful interaction? We will figure this out together. Google Docs registration is open – https://goo.gl/forms/6ZlloBs4EB9pU9t73. Your responses literally shape the coming week. Specific examples are encouraged. We love to hear about best practices and how to avoid the worst. If you are keen on Facebook, please register on the Facebook event page – facebook.com/events/436708710162932. Each evening (Pacific time) Planeta.com will post a daily reading and challenge. Early morning this will also be recorded and available via Periscope audio. Each afternoon updates will be made to Planeta.com. Participants are asked to walk the talk of responsible travel in their own communities and share lessons learned and questions to be asked as comments on this website as well as social web channels, including Facebook, Twitter. How community-driven is community tourism? What is the legacy of Tourism Concern? How can travel encourage the conservation and use of Indigenous languages? What should we pay attention to at UNESCO’s next World Heritage Committee meeting, #43whc? What would the criteria be for a Responsible Travel Award given to a government or institution, aka the Spotlight Award? Digital Literacy Quiz – Figure out how to login, post and respond on major social web channels. This is a week of cyber housekeeping. Spread the word and make the most of Facebook. 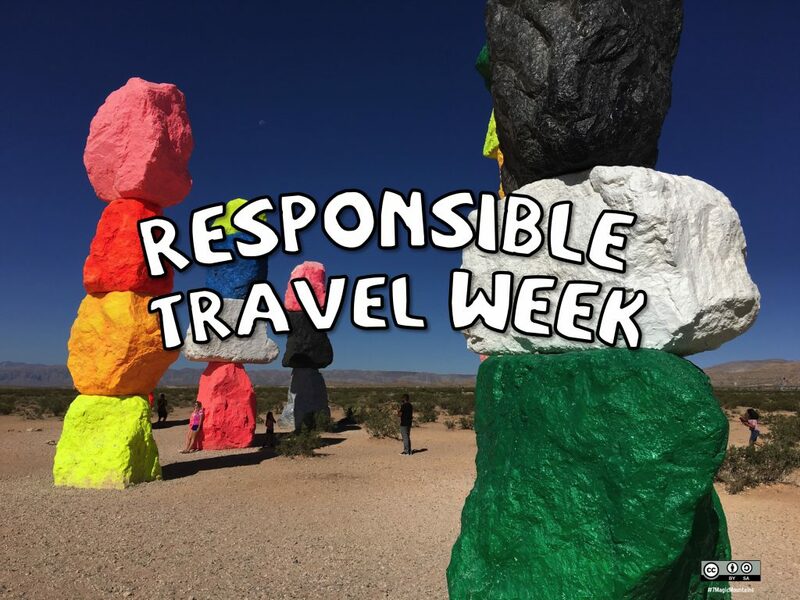 If you have a Facebook page, you can add the 2019 Responsible Travel Week on your events calendar. If your page is a host of this event, it is already included on your page’s events. We are doubling down on the photography website Flickr. There’s a new management for the photography site and we look forward to seeing good things happen. Request for artwork / posters / photos / videos preferably with the Attribution-Sharealike license from Creative Commons. For RT Week, we have created an album of Attribution-Sharealike licensed artwork and images. This means you can legally download, reuse, remix the photos and artwork. Since 2000 Planeta.com has hosted dozens of public dialogues about ecotourism, sustainable tourism, conscious travel. Responsible Travel Week is Planeta.com’s annual conference/unconference in which everyone is welcome to preview or recap events, publications, campaigns, and other endeavors related to responsible tourism. We ask how locals and visitors benefit from face-to-face encounters.